One of the top frustrations that get mailed to us every day is how hard it is to get out of debt. No matter how you got into debt, getting out over time is going to be one of the most important goals that you could possibly make for yourself. You always want to think about how your goal is going to be affected by the future. Sure, it would be nice to snap your fingers and get out of debt but chances are good that you have other things to do with your time than pay all of your money onto credit cards. You will still need to have a regular life, right? That’s where the concept of the debt marathon comes in. It can be hard to rationalize where you’re going when there are so many little voices telling you that you’re just not going to be successful. You will need to push away those nagging voices and embrace something a little different. Is that going to be difficult at first? Sure it is, but it’s always worth doing. 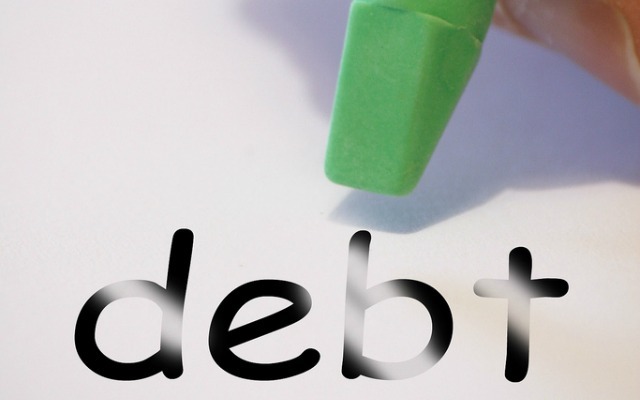 If you are finding yourself in a lot of debt, it’s time to stop spending. You will need to get tough for a little while until you understand why you are spending so much more money than what you have coming in. Are you trying to fill a void in your life? Keeping a journal of your feelings might actually reveal a lot more than you think. You just have to make sure that you consider all of your choices at this point. Sure, it might feel a little lonely to not spend while everyone else is having a good time, but they’re not the one that has to deal with your debts — you are! Be sure to make this a team effort. It makes no sense to try to tighten the proverbial belt when you have a spouse spending money at every turn. This may lead to a very tough talk in the future, but you have to take that step. If you don’t, you will never get out of debt. Going into counseling can help you understand the world of finance a lot better than if you just stayed on your own through the whole thing. An expert can really go through your budget and figure out where you’re losing money the most. Again, this isn’t easy but it is definitely worth doing. Your local building society can actually point you to some excellent resources. For the time being, make sure that you are being good to yourself. Beating yourself up is only going to make you feel bad, and you may end up buying things just to feel better. That’s no way to live, and it’s certainly no way to actually do anything productive. Your true friends will support you no matter what you decide to do in your financial life. If you don’t already have a finical blueprint, it’s definitely past time to create one. We’re not trying to make any jokes here — sometimes it really does help to have everything that’s on your mind out on paper rather than just hoping everything will fix itself. You have to make sure that you really are working towards your goals. Even though they might seem far away today, you never know what you will accomplish if you would just go ahead and get out of debt. It can be hard to think of anything else when you have too much debt. Does that mean that all debts are evil? Not at all. There are some debts that can open doors to new possibilities, like going back to school. However, if you find that you’re paying more for your credit cards than anything constructive for your family, it might be time to downsize and cut back on some things. Remember that above all, you have the power to change your life — never forget that, and you’ll be just fine!